Here are three things we learned from the Chicago Invitational this weekend at Allstate Arena. Chad Berger said prior to the Chicago Invitational that he doesn’t plan on doing anything different in 2018 to try and push Pearl Harbor past reigning World Champion SweetPro’s Bruiser. The plan is simply to let Pearl Harbor be Pearl Harbor, and Pearl Harbor debuted in style in Chicago. Pearl Harbor won a battle of 2017 runner-ups on Sunday afternoon by dislodging Derek Kolbaba in 5.29 seconds during the championship round. The 6-year-old bovine superstar began to fade with Kolbaba and demonstrated the same kind of athleticism and power that pushed him into the World Champion Bull race last year. Kolbaba said he had no intentions of even picking Pearl Harbor with the 11thpick until he stepped onto the back of the shark cage and didn’t’ see anything else that he wanted to get on. Berger was certainly pleased to see Kolbaba attempt Pearl Harbor. Pearl Harbor is the first bull to be scored 46 points or higher through the first two events of the 25th PBR: Unleash the Beast Series. Cooper Davis may already be married and have a family, but if his relationship with Catfish John continues to go the way it is, Cooper’s wife, Kaitlyn, may need to watch out. Davis rode Catfish John 91.5 points during the championship round on Sunday to cap off his 3-for-3 event victory. The 23-year-old is a perfect 4-for-4 on the back of Catfish John, including 91 points to win the 2016 World Championship at the PBR World Finals. Davis last rode Catfish John for 89.5 points to help lead Team USA to victory at the Global Cup in Edmonton. Kaitlyn joked with Chad Berger that her and Cooper want to buy Catfish John after the event on Sunday. “When we retire him maybe we will put him down at Cooper’s place and let him hang out,” Berger said. All kidding aside, Davis is now the No. 1 ranked bull rider in the world after earning 580 world points in Chicago. Davis leads No. 2 Gage Gay, who is facing the possibility of right knee surgery, by 80 points, heading into next weekend’s Express Employment Professionals Invitational. “It is early for me, but if we can get it started like this and the second half goes the way it normally does we will be alright,” Davis said. Davis almost did not pick Catfish John with the second pick of the championship-round draft. The Jasper, Texas, cowboy was debating selecting Cut the Cord over Catfish John – calling it a coin flip – before Claudio Montanha Jr. picked Cut the Cord with the first pick of the championship-round draft. Montanha Jr. rode Cut the Cord for 87.5 points on the last ride of the night, but it wasn’t enough to knock Davis out of the top spot in the event average. Davis and Montanha were two of four riders to go a perfect 3-for-3 in Chicago. Dener Barbosa rode Shownuff for 88.25 points in the championship round to finish third overall (235 world points), while Valdiron de Oliveira turned down a re-ride option after riding Twinkle Toes for 75.5 points. Oliveira finished fifth overall with 148.33 world points and did get helped to sports medicine after Twinkle Toes stepped on him. Brennon Eldred placed fourth overall (160 world points) after riding Losing My Religion for 89.5 points in the championship round. 2017 World Champion Jess Lockwood won Round 2 and 100 world points with an 87.5-point ride on Slip Out. 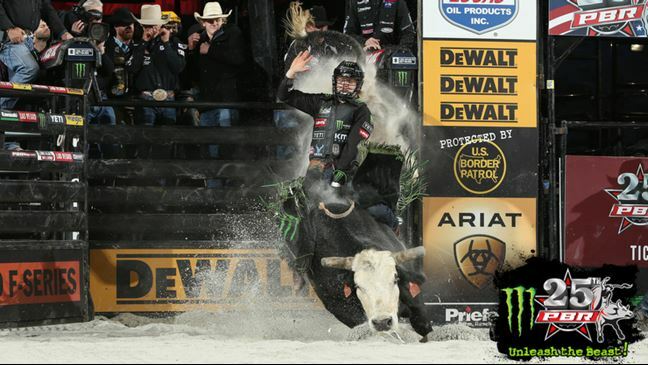 Lockwood then bucked off Wicked Stick in 4.9 seconds during the championship round to finish the event 1-for-3. Lockwood had originally said he was going to select Pearl Harbor with the ninth pick of the championship-round draft, but then clarified that he may not select the bull if there was a better option available. Overall, the defending champion has had a slow start to the season (2-for-7). The 20-year-old said he just needs to relax some and things will turn back around. Jose Vitor Leme returned to competition after passing the PBR’s concussion protocol. Leme rode Air Bender for 83 points in Round 2, but failed to qualify for the championship round. 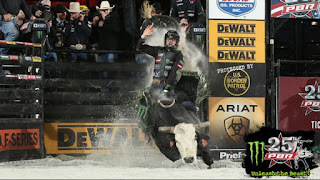 Dakota Buttar was in the lead on Sunday after riding Dream Catcher for 86 points, but Buttar was unable to compete in the championship round after sustaining a concussion and sprained neck during his get off. According to Dr. Tandy Freeman, Buttar is questionable for Oklahoma City. Wallace de Oliveira also sustained a concussion after being bucked off byRam It in Round 2. He is questionable for Oklahoma City. Troy Wilkinson missed the final day of the Chicago Invitational after bruising his lower back when he was bucked off by Breaking Bad (5.06 seconds) in Round 1. Wilkinson is probable for Oklahoma City. Reese Cates was bucked off by High Roller in Round 2 and was competing with a laceration and contusion of his left elbow (free arm). Chicago was Cates final injury exemption and he will now return to the Real Time Pain Relief Velocity Tour after failing to pick up any world points. Gage Gay’s season was turned upside down on Saturday night when the world leader’s right knee buckled underneath of him during his get-off attempting to ride Pit Bull in Round 1. Gay had made the 8-second mark and tried to land on his feet following the buzzer, only to have his knee pop when he hit the ground. The world leader had to be carried to the PBR Sports Medicine room where he was diagnosed by Dr. Tandy Freeman with a torn right ACL and MCL. Gay will undergo an MRI this week to determine whether or not he needs surgery. Gay will be facing a recovery time between 4.5 to 5 months if he indeed needs to undergo reconstructive knee surgery. Gay, whose ride was disqualified as he was ruled to have left the bucking chute with his spurs in his bull rope, was coming off a 4-for-4 performance at the 25th PBR: Unleash the Beast season-opener last week in New York. Now the 23-year-old’s world title aspirations take a major step back as he faces the possibility of missing the remainder of the first half. Freeman said that it isn’t uncommon for some bull riders to avoid surgery to repair a torn ACL. However, the problem for Gay is that Freeman believes the 23-year-old has a significant MCL tear as well. Freeman added that Gay’s MRI will also determine if Gay can avoid surgery. The the two will discuss what the best solution will be following the MRI. Gage Gay’s injury now turns the immediate focus of the 2018 World Championship race to 38-year-old Valdiron de Oliveira. Oliveira, who unretired in November, sits second in the world standings and chipped away at Gay’s lead with his 86-point ride on Shelly’s Gangster. The 10-time PBR World Finals qualifier split fourth place with Jordan Hansen (86 points on Slinger) and Guilherme Marchi (86 points on Nailed) and earned 28.33 points toward the world standings. Oliveira went 4-for-4 last week in New York and has begun the season with five consecutive rides. This is Oliveira’s best start since beginning 2011 with nine consecutive rides. Oliveira finished that year runner-up in the World Championship race to Silvano Alves. Oliveira trails the world No. 1 ranking by 308.34 points heading into Championship Sunday. He is riding with a minor groin injury and has drawn Overstreet (0-0, Premier Series) for Round 2. 2016 World Champion Cooper Davis had a close-call a week ago when Slinger Jr. stepped on the top of his back during the championship round of the Monster Energy Buck Off at the Garden. Davis was sore all week, but said before Round 1 that that he wouldn’t feel any pain as long as he rode his bull correctly. Davis sure looked fine once the gate opened in front of a sell-out crowd of 10,689. The 23-year-old tied for the Round 1 victory with Joao Ricardo Vieira by riding Luke for 87.25 points. It is the second consecutive week that Davis has begun the event with a round victory. The No. 5 bull rider in the world standings earned 80 world points and is 420 points behind Gay. 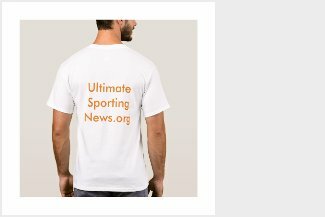 Davis will look to finish the job on Sunday after failing to convert last weekend in New York when he began the final day of competition leading the event average. The Jasper, Texas, cowboy has drawn Uncle Tink (24-7, Premier Series) for Round 2. Meanwhile, Vieira once again continued his early-season trend of converting aboard bulls he has previously been bucked off by. Vieira tied with Davis for the round win by riding Maximum Risk for 87.25 points. It was only a week ago that Maximum Risk bucked Vieira off in 6.42 seconds. Vieira said the primary adjustment he had to make was to make sure he kept his feet down. Maximum Risk quickly got Vieira’s feet jarred free in New York, causing Vieira to lose control. It was the second week in a row that Vieira has come through with a successful rematch. Vieira won the championship round in New York by riding Cochise for 90.75 points less than 48 hours after the Gene Owen/Jane Clark bull bucked him off in the 15/15 Bucking Battle. The No. 4 ranked bull rider earned 80 points toward the world standings and trails Gay by 365 points. Vieira gets another rematch for Championship Sunday against Rocco. The 33-year-old is 1-1 against Rocco (11-6, Premier Series). He rode him for 84.25 points last year in Chicago and was bucked off by Rocco in 7.86 at the 2016 PBR World Finals. Jose Vitor Leme wound up not competing on Saturday night after failing to pass the PBR’s concussion protocol. CHICAGO – Here are three things we learned from the Chicago Invitational this weekend at Allstate Arena. Wallace de Oliveira also sustained a concussion after being bucked off by Ram It in Round 2. He is questionable for Oklahoma City.